The chances are that you are not taking full advantage of the cutting-edge technology available to you. There are now many options on the market to consider. One of the most impressive (and user-friendly) is a collaborative software system known as Zoom Rooms. What does Zoom conference rooms have to offer? 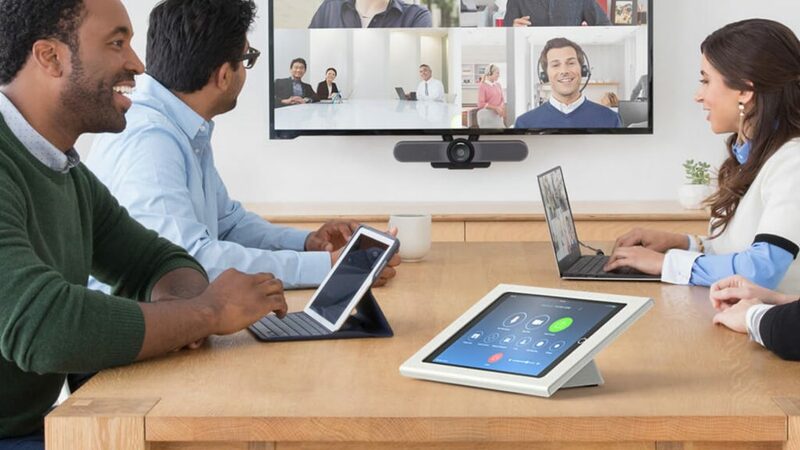 One of the main issues with outdated video conferencing (VC) equipment is that they are rarely capable of addressing modern digital demands. For example, some legacy-based conference room systems might become sluggish when dealing with remote participants. Other bundles could need a jungle of wires in order to function properly. Or, the installation process could require that you first possess a degree in rocket science. All of these situations will obviously have a negative impact on the experiences of your attendees. Zoom Rooms has developed a product that is able to do away with these and many other drawbacks. Compatibility with other conference room software. Support for HD audio and video feeds. Systems can be supervised from a central monitoring dashboard. To put this another way, you will be getting the best of both worlds. Not only can such a system be easily integrated into your existing hardware, but a host of modern features guarantees a streamlined experience. Can I Use Zoom Rooms With Other Software? Thankfully, the engineers have taken this concern into account and Zoom conference rooms can be easily integrated with existing hardware and software. With the ability to work with any H.323 or SIP endpoint, you will no longer be forced to scrap equipment which was otherwise performing adequately and therefore save yourself both time and money. Both Cisco and Polycom endpoints are supported too, meaning that your options really are endless when using Zoom Rooms. A built-in scheduling display to avoid conflicts. As always, these options can be managed on an individual basis for an extra level of control. This is also a bonus if different displays need to present separate information. The developers at Zoom appreciate that the modern business world waits for no one. Their dedication to improving the end-user experience will enable you to place any technical or integration concerns aside. With Zoom Rooms you can host informative meetings, while remaining confident that all participants are being kept in the loop at all times. It seems as if the notion of “one size fits all” has finally found a place within the modern business world. Have you grown tired of so-called “modern” conference room systems that become obsolete within a handful of years? Zoom Rooms could be the perfect solution for you. It pays to remain one step ahead of the curve. There is no reason why cutting-edge conferencing technology has to be complicated. Zoom Rooms are the perfect solution if you have been searching for seamless digital integration without any of the fuss that often accompanies other packages. Interested in finding out more? Please contact us at TwistedPair today on 0808 281 2457 or drop us an email to sales@twistedpair.co.uk.